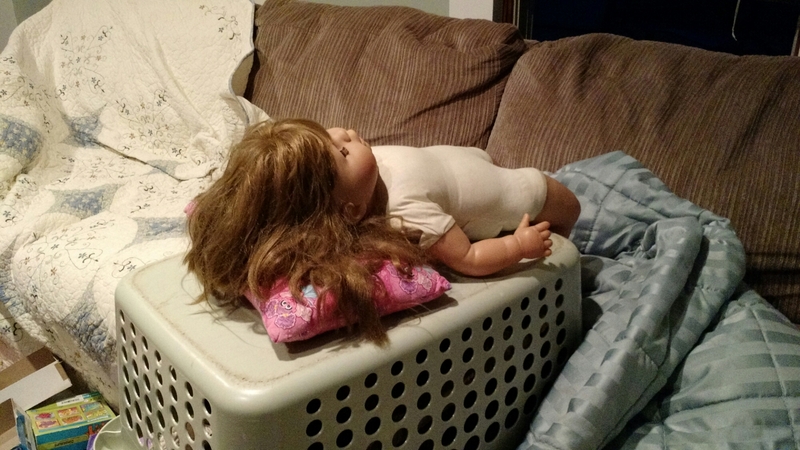 Well this was utterly terrifying to walk in on after the kids are in bed. And I’m home alone. Probably not a ritual sacrifice.